Hover over photo to pause the slideshow, click arrows to see next painting. 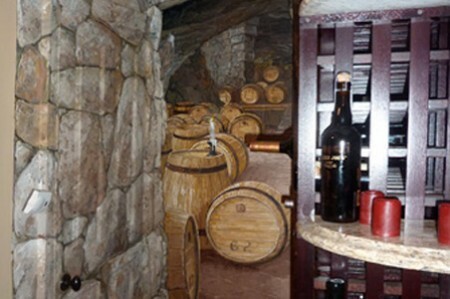 Trompe-l’eoil wine cellar, 9´ X 7´. “The wine bottle in the foreground of the mural is real. 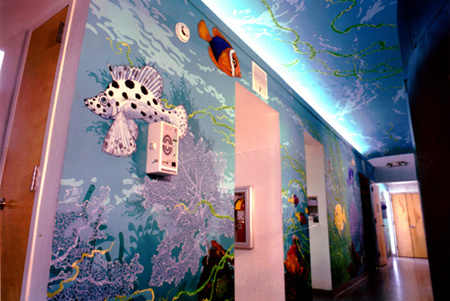 The rest of the mural is hand painted on site. 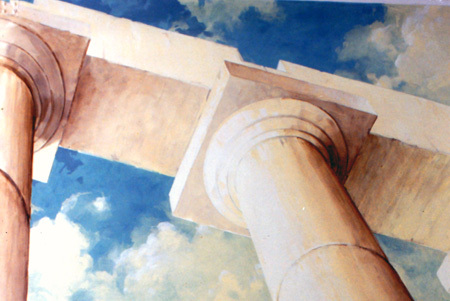 As a mural painter the challenge in trompe l’oeil painting are at the edges where faux intersects with realty. Sunrise Dental Practice, Chapel Hill, NC. 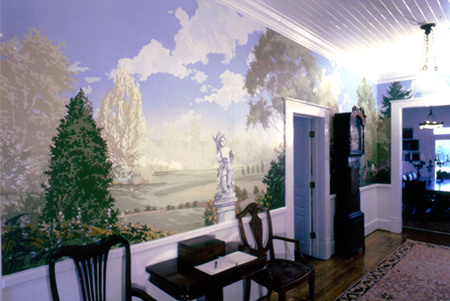 Foyer, private home, Mebane, NC, 80´ X 7´, imitation Zuber wall paper. Detail from full restaurant interior, the original Margaret's Cantina of Chapel Hill. 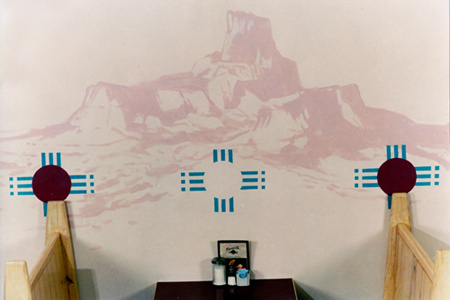 Restaurant Interior, Durham NC, detail of a 30´ x 18´ mural.